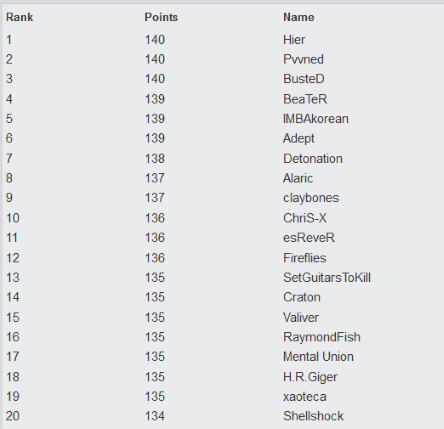 First let's recognize and give a big congratulations to Hier, Pwned, and BusteD for finishing first in Season 29! ASL Season 5 kicks off Season 30 for 2018! Prepare yourself as the top Brood War staff writeups guide you to a sure victory in Liquibets. This year will be more exciting then ever because Bisu fans will no longer be disappointed by blindly betting for him in the semi-finals and finals of every tournament...Alright, I admit it. I preemptively added a Bisu bet before being subject to public outcry. With that said, good luck tributes and may the Brood War Gods ever be in your favor. Alright I'm in. Glad to see the BW bets back in action. Alright, I admit it. I preemptively added a Bisu bet before being subject to public outcry. With that said, good luck tributes and may the Brood War Gods ever be in your favor. Are you going to pick a winner for that line? Can we set a rule of which tournaments and when it's the last possible time to add in upcoming matches to liquibet? It would be nice for clarity's sake. In the past I was very eager to play, but with some new bets getting updated on awfully short notice I ended up missing some 'easy points'. I'm sure I'm not the only one. It would be nice for people who cannot visit TL daily. It should also increase the level of competition. Will try to fallow this more this season ! All bets will have 48 hrs notice. I'll be good this season. As for the tournament list hard to know which ones besides ASL will count. I'll get back to you on a better acceptance criteria though. I need to catch up on the non-ASL tournaments going on. Also, BabyDagger is good. Updates on him soon too. AWWWW YIS, gratz to both Hier and Pwned aswell !! the one time i stopped betting on hero he wins it all. also the foreign scene fucked me last liquidbet. Time to take it all this ssn. How does Liquibets work? Are there 'odds' for each player?